Owning a condo on the beautifully secluded Marco Island has never been more appealing. We've listed all of the condos below and also grouped them by proximity to the water and some other features. Of course, if the condo names aren't familiar, simply use our Marco Island property search to see only the condos that suit your unique preferences. 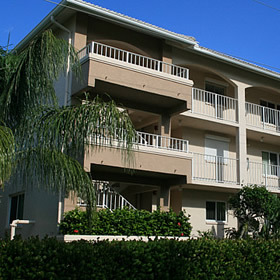 If you have any questions about Marco Island condos for sale, contact us today. 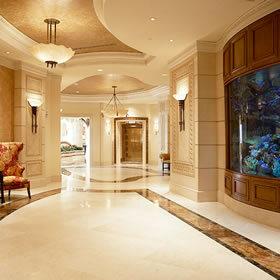 In fact, we can help you find any condo for sale in Florida. 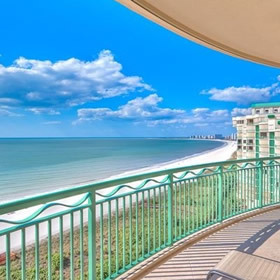 Browse all Marco Island condos for sale including big photos, descriptions, prices and virtual tours. See every listing in every price range. Regardless of your lifestyle, you'll find a condo here. Whether you dream of the beach, boating or golfing, you'll find it here. Marco Island's beachfront condos are amazing! In the 1960s, The Mackle Brothers recognized Marco Beach as a diamond in the rough. Fifty years later, you'll agree that they knew what they were doing. From Hideaway to Cape Marco, it's flawless. 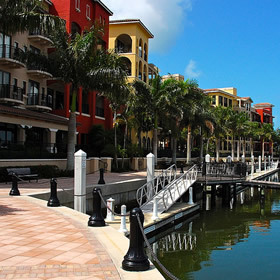 What would Marco Island be without waterfront condos? With the Gulf of Mexico, numerous bays, the Marco river and 100 miles of man-made canals, we have a waterfront condo that will inspire you to make a move. How can we help? Our walk-to beach condos offer a great bang for the buck. Half the price of comparable beachfront units, you get more "condo" for your dollar than you do on the beach. Most people just keep a beach cart ready to go with all their chairs and supplies. Marco Island has some of the most luxurious condos in Florida. The luxury beach condos like Cape Marco, Madeira and Hideaway Beach are well-known but we have some amazing luxury properties on our canals and inland as well. Let us show you. The Inland condos on Marco Island and nearby can be close to the beach, on a beautiful golf course or close to your boat at the marina. Not only do you get bang for the buck but, in some cases, a very inexpensive path to the island life - the good life. The boating and fishing around Marco Island is famous. Big fish in the Gulf or Snook in the Ten Thousand Islands make for fun catching and better eating. 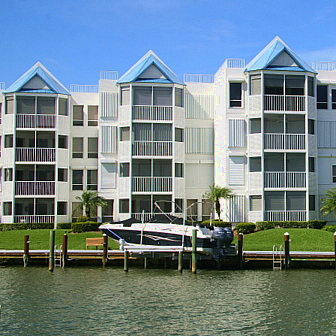 Boat condos are generally found in three places on Marco - the Southend, Old Marco or in South Seas. The only golf condos on Marco Island are in Hideaway Beach Club. No worries. 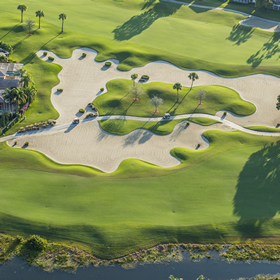 Fiddler's Creek and Hammock Bay are only five minutes off Marco and offer some of the best golf condos in southwest Florida from economical to luxurious. See them here. 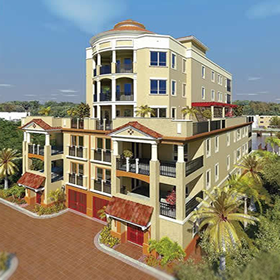 Marco Island condos are available to suit any lifestyle. We have beachfront condos of course, but we also have boat condos, luxury condos and inland condos. We have golf condos and walk-to-beach condos too. Of course, condos make great second-homes because owners don't have to worry about maintenance, mowing the lawn or security while their away. They also make great primary homes, too. Just because you live on Marco year-round doesn't mean a house makes for a better home. You'd be surprised how many year-round residents choose to make a Marco Island condo their home. In fact, if you want to watch the sunset from your lanai, you'll have to live in a condo. There are no detached homes on our award-winning beach. The only "beach houses" on the island are in the Hideaway Beach gated community on the northwest corner of the island. Maintenance fees often surprise condo shoppers. However, once they crunch the numbers, most people realize that the fees are usually reasonable. Most condo management companies are very efficient and the value for your maintenance fee dollar is usually quite good. There has never been a better time to invest in a Marco Island condo. The national "housing crisis" has created opportunities in Florida that most of us thought would never happen. Real estate prices got so inflated in 2005 that a bubble of immense pressure developed. When the bubble burst, it seemed that the market had no bottom. Finally, in 2012, prices stabilized and have now begun to strengthen. Prices are still historically low. Heck, they're dirt cheap. Prices are still hovering around 2003 values. That is before the point where the real estate bubble began to inflate. The simple fact is there are no bad deals on the island. In a few years, everyone will wish they purchased in 2013. So, what's left is commonly called "contents insurance." The condo's common policy usually stops at the drywall. You'll probably want to insure everything within that boundary and have liability insurance as well. This package is called an HO-6 and is very reasonable when compared to "hurricane insurance." You'll probably spend less than $1/square foot on an HO-6 policy. Chef Tell would say, "very simple, very easy," and he'd be right. Many of our condos are owned by absentee owners who can't be involved in ongoing management of their properties. Our management companies on Marco Island all do a fantastic job maintaining these properties in like-new condition. Seriously, even our original buildings look exactly like they did when they were new. All this is possible through Maintenance Fees and the efficient use of them. It's not unusual to get "sticker shock" if you're unfamiliar with condo fees. They start around $350 per month and go up to around $1000/month for some of our luxury condos. Most are in the range of $400-600. When you itemize the fee and remember that insurance makes up the bulk of it, you'll find that the fee is probably less than you'd spend owning a similarly priced home on Marco Island. Maintenance fees usually include master insurance (including wind & flood or "hurricane insurance"), lawn maintenance, landscaping, trash removal, pest control, repairs, water, sewer and management. Many include cable TV and a few even include your electricity. 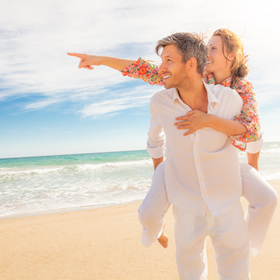 Financially savvy investors look to Marco Island for return and fun for their own families. Our condos rent well. In fact, it can be extremely difficult to find an available condo in season. Many owners take advantage of significant rental income opportunities between January and April to pay all of their carrying costs for the year. They use the condo themselves the other eight months of the year. For those investors not satisfied with just covering carrying costs, but who desire positive cash flow after debt service, we recommend one of our condos that allow weekly rental. Most condos on Marco Island require minimum a rental period of 30 days. This isn't an issue in season as most snowbirds will rent for two or three months. It does effectively limit your ability to pursue summer rental income, though. Families who vacation here in the summer usually want to stay for a week. If maximum rental income is your priority, we recommend Sea Winds, South Seas Towers (3 or 4), Somerset on Marco Island, Apollo or Angler's Cove.